I am realizing the power in letting go. But even with this knowledge I still find myself harboring ill feelings and resentments. Letting go is a learned process that takes practice and patience. I have been allowing mistakes from my past to stunt my growth. I have been allowing the disappointments of trusting others in the past, to keep me from trusting people today. It also plays a major role in my reluctance to open up to people and allow them to get to know me. I realized this weekend that I have a lot of friends online. I went to a picnic in Philadelphia and allowed myself to meet and great with them. I had the best time ever. It was amazing to finally meet people that I only had interactions with on Facebook. It helped me to realize how damaging holding on to that mess has been. It also helped me to make a decision to not allow my past to continue to haunt me and allow life to pass me by. I will not beat myself up for struggling to let go but I will allow myself to take a healthy risk. To assert myself in the areas that I struggle and just practice it to the best of my ability. This entry was posted in 2015 and tagged addiction acceptance, change, Let go, life, recovery. Bookmark the permalink. ← WHAT COULD I HAVE DONE BETTER. Eggs Zellent message Eric. I too used to “hold on”, because my life depended on it, I have learned that I must ” let it go”, because my life depends on it! Big HUGZS, jen R.
Thank you Jen for sharing your identification. Yes letting go is a must if I am to grow. Have a blessed day. Good Morning Eric! Another awesome blog to start my day with. Today I will practice trusting others and opening up even if it’s just a little. 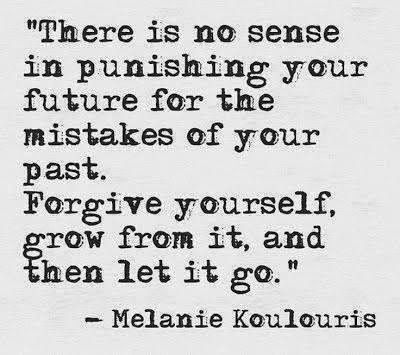 Not allowing my past mistakes to punish my future sure did resonate with me. I haven’t fully let go and forgiven myself either. Definitely a process! I so glad you went to Philly and were able to meet some on-line friends. That is so awesome. One of these days I’ll get to NYC and meet you & a few others that have been on this journey with me. Thank you so much for your blogs. You just don’t know how much they have helped me in my recovery and life in general. Have yourself a wonderful day and stay blessed my friend! A journey I have been on myself and continue to this day. Good for you! Thank you for sharing your identification and for your encouragement.